Due to the dynamic nature of most rope in the world, every IP address is changed automatically. Therefore, the need for a fixed rope is often in the workplace. There are many companies that provide Dynamic Dns services to meet this constant demand in homes or workplaces. 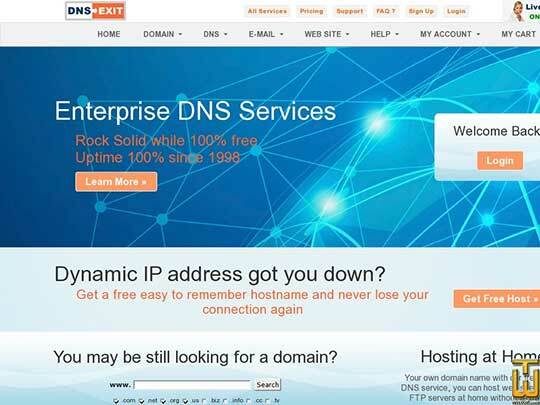 Dnsexit.com, which provides dynamic DNS services for years, supports up to 10 domains. Because it is free, features such as creating cname and name server in domains are completely active, and it is also a separate feature that Windows, Linux supported client software can be installed easily. Uptime is usually able to update the dns very quickly as you set it yourself. As a service I tried to use a long time ago, dns is considered to be very good in terms of being afraid of its services and it is a problem. A service in which I live in Uptime and breaks in domains. According to the data on the site, the most domain in the world is the Dynamic Domain Service. Client software does not have their own due to the lack of a certain difficulty. CloudFlare services that deserve praise for the type, Dynamic DNS service through the software can give the company at the same time most transactions are free. Firewall, fixed ip, dynamic rope, provides many services such as. Although Dynu's services were working very well, I did not have time to use it for a long time. Client software is doing very successful ip update. They also found solutions to the problems of mail. Servers of this dynamic dns service using Amazon servers are also kept in amazon. This service provider, which does not have any other companies, has the ability to update the modem ip without the need for client software.